Sharon Sebring has dug very deep to find what transformation means in her own life. Today, yoga is a true expression of that. She is a certified Kripalu Yoga Teacher and offers an invitation for you to join her in welcoming harmony and balance into your life. She leads the Chair Yoga practice on Tuesdays at Common Ground. 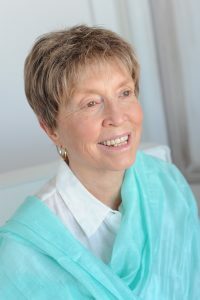 Sharon has been offering programs on body-mind-spirit for 30 years. She is a graduate of the Coaches Training Institute and the National Speaker’s Association. She is a practitioner of mindfulness meditation and an active member of Common Ground.